For professional washing machine repair in Brampton, Ontario, call our techs. We fix all home washers & dryers for that matter and our response is quick. With us, you never have to wait for long or wonder if your appliance is fixed right. With skills and experience, our techs do their job correctly the first time and make sure your washer is back up and running in no time. 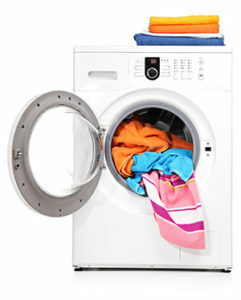 Turn to our Appliance Repair in Brampton if you need more services with this laundry appliance. Not only will we fix washer problems but will also maintain the appliance, replace its parts, and install the new washing machine. We do every job with accuracy by utilizing the best equipment available on the market and by honing our skills regularly. Call us if your washer is not working right. Problems vary and so washer models. But you can rest assured that our expert washing machine technician will take care of everything. Is the washer not spinning? Is the door seal broken and water is leaking? Are there problems with the way it drains? Is there an unusual noise when the washer operates? Our washer expert will troubleshoot the appliance to detect the problematic components. We carry a variety of washing machine repair parts to ensure that the service will be completed with precision. If the problem with the washer is urgent, you can trust that our company will respond quickly. In any case, we do our best to service your washing machine fast and always come prepared for the job. As technology changes and smarter appliances find their way into the market, our pros get updated and hone their skills to be ready to cover your service needs. We will be happy to install, repair, and maintain your home washers and guarantee affordable prices and outstanding work. Contact us if you have questions or want washing machine repair Brampton services.